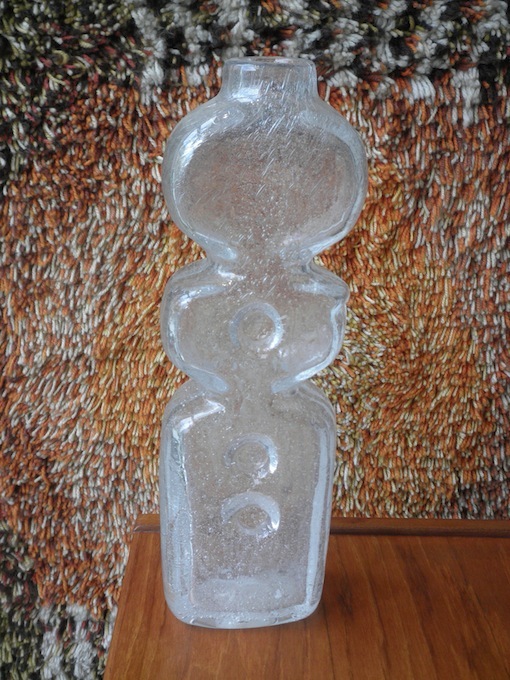 This large art piece is unsigned but has a strong mid century modern Scandinavian feel. 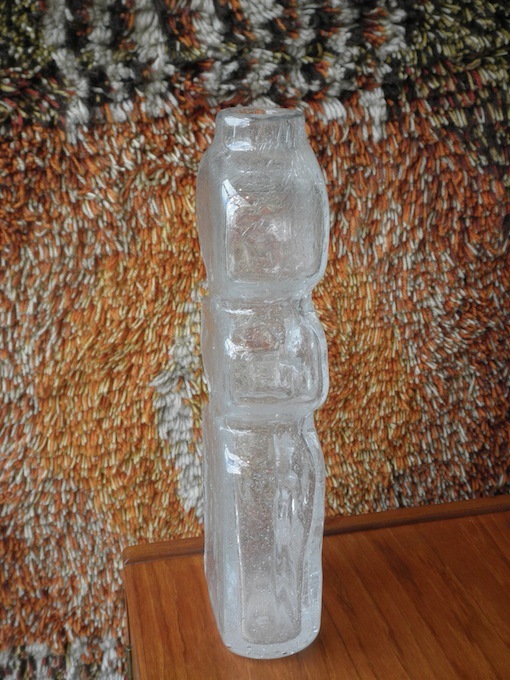 This type of studio vase would have been made by hand using a scissor mould made from rough hewn timber with pegs to impress the circular indents in the glass. It is a costly time consuming technique that is classically Scandinavian. 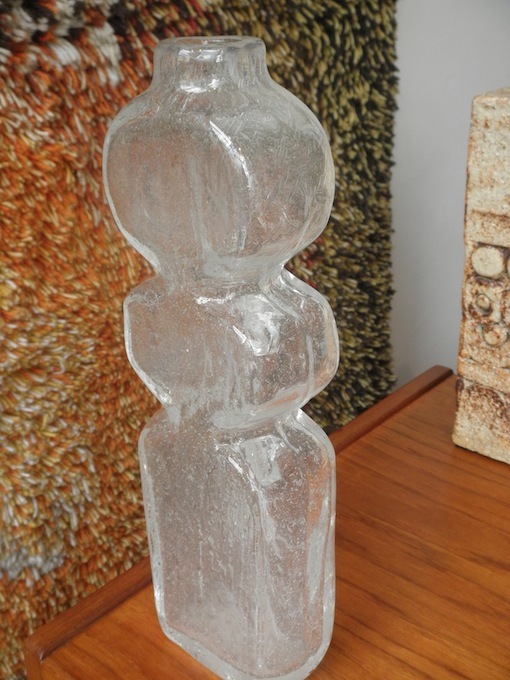 The clear glass is representative of ice that forms in organic shapes.